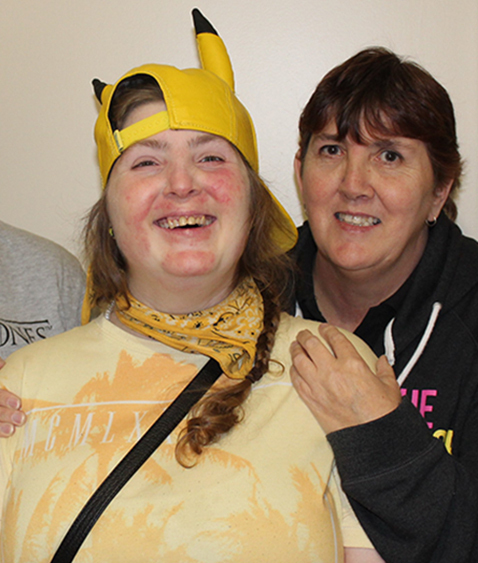 Community Living Australia and formerly as CLASS has been supporting Kirsty for over 15 years now with Kirsty attending their Day Options service every day. As part of this service Kirsty receives support to achieve her goals, learn new skills and to go out and take part in the community. Kirsty particularly enjoys learning to cook, playing Bocce and going shopping. Community Living Australia also support us with our transport needs when Peter periodically goes overseas. We like the way staff at Community Living Australia choose to support Kirsty, we feel as though they really listen to us and partner with us in ensuring that Kirsty is supported to get the most out of each day. The staff, are all friendly and supportive, they show respect and understanding, are always ready to have a laugh and really make us feel heard. We recommend Community Living Australia to anyone who is looking for support, as we feel they have had a significant role in the growth of our daughter and have been supportive to both Kirsty and us her family. Thanks to Community Living Australia Kirsty has shown some amazing improvements socially, both in the community and at home. When Kirsty was younger there were many conflicts in her life and she was often angry, frustrated or confused we were worried that things would never get better. Community Living Australia came into our lives at the right time and between us and the organisation we feel we have supported Kristy to develop and become a happier version of herself. Community Living Australia has also helped us to sit down and think about what we want for Kirsty and where we see her in the future. Together with Community Living Australia we are confident that we can limit the hard times ahead and continue to make significant improvements in both Kirsty's and our lives.